CENTURION has also developed the P36 passive sensitive edge to add additional protection to vehicles and people moving through the electric gate entrance. 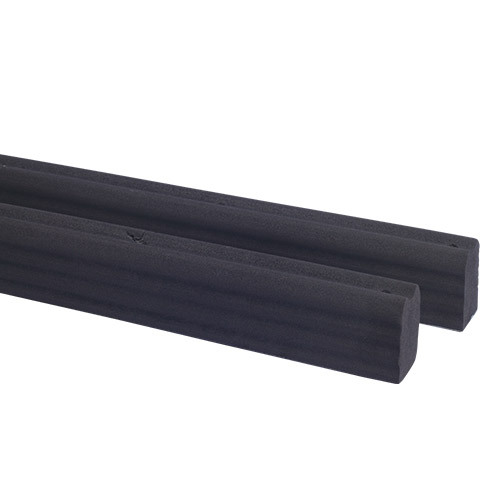 The P36 is a custom extruded rubber buffer that is simply secured to the leading edge of the gate and requires no electrical connection to the gate operator. The P36 minimises the damage caused by an electric gate accidentally closing on a vehicle or person by absorbing the energy of the gate at the point of impact, whilst the safe anti-crushing feature of the CENTURION gate motor activates and either stops the gate or reverses its direction of travel, depending on how it’s set up.